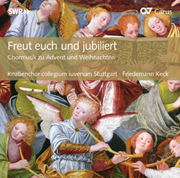 The ecumenical boys’ choir collegium iuvenum Stuttgart is based at the Stuttgart Cathedral Choir School. 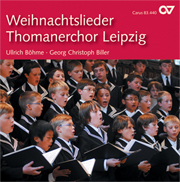 Its particular strength lies in its broad repertoire, especially sacred choral works from the Renaissance to the contemporary. 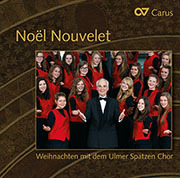 This is reflected in the wide and varied choice of Christmas carols on this CD. 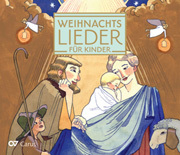 Alongside classic Christmas carols such as Maria durch ein Dornwald ging and Wie soll ich dich empfangen, contemporary works including John Rutter’s Christmas Lullaby and new arrangements of traditional songs by composers such as Bobbi Fischer, John Høybye, and Michael Čulo feature. 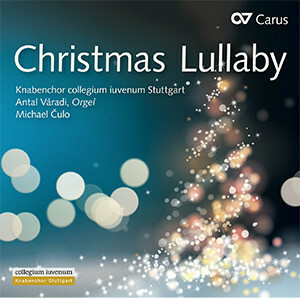 Instrumental arrangements by composer and conductor Michael Čulo for flute and organ, and oboe and organ make this a delightfully varied CD.